Construction with Kapla blocks, look what we can do! I set this tricky challenge for my P1s, bridging this gap with Kapla blocks. It took perseverance, imagination and a bit of trial and error. After a various good attempts, here is the first successful bridge. Because the blocks don’t stick together in any way like Lego and Stickle, the construction relies on weight and balance to stay together. 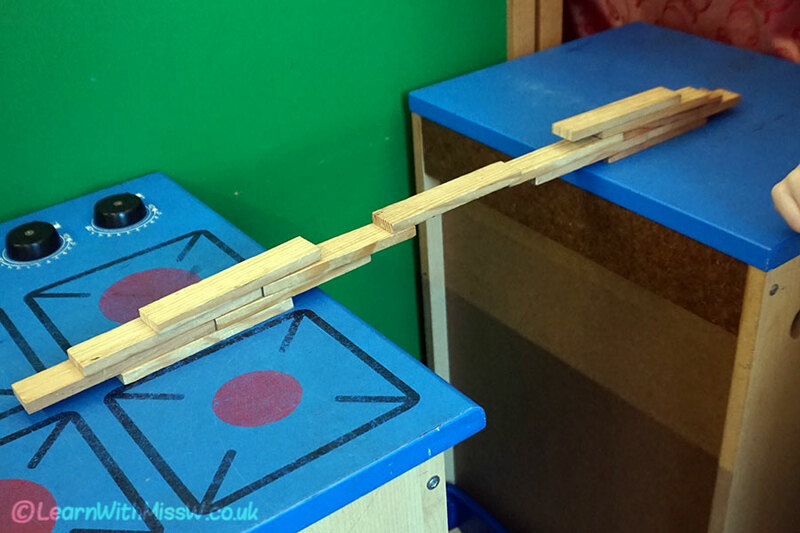 It took some experimentation for the children to realise that as the bridge progresses over the middle of the river, extra weight needs to be added over the foundations so they don’t tip over.